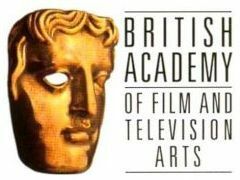 The nominations for the Game award for best videogame at the BAFTA British Academy Video Games Awards have been announced today. The Game Award is the only prize to be voted for by the public at the Game BAFTAs; last year 65,000 people voted with Call of Duty: Modern Warfare 2 taking the crown. This year's nominations include its franchise-mate Call of Duty: Black Ops which, let's face it, has a good chance given that it is currently the highest grossing video game of all time. Other serious contenders for BAFTA games success are Rockstar's Red Dead Redemption, Halo Reach, Heavy Rain, Mass Effect 2 and Nintendo's loveable Super Mario Galaxy 2. Family gaming is also getting a nod, with Dance Central up for the award. Football gets a look in with FIFA 11. For the first time ever, there is also an online game in the mix; Limbo is nominated for the Game award, apparently following "heated discussions" between judges who whittled down the shortlist. The full nominations for the judges' awards will be revealed next week on 16 February, with the awards ceremony set for 16 March.